For the last three years, I’ve been working on an adult epic fantasy series with my friends Megan Grey and Lauren Janes. You guys, I am so excited about these books. We have three books done, and three more in late stages. These are on submission now to publishers, so we’ll see if they get picked up. (The market, guys. It’s rough.) If they don’t get picked up, we’ll start publishing these in 2019. Megan and I have also been working on a contemporary romance series that’s also out on submission to publishers. 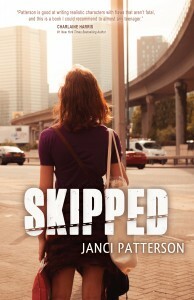 We have four books done (including one novella) and two more polishing up in the next couple of months. If these don’t get picked up, we’ll also start putting these out in later 2019. (It’s going to be a big year, either way.) I am so excited to share these books with you. Ten years ago my friend James Goldberg started a brilliant book that I was in love with. Seven or so years later I finally got so frustrated that I couldn’t read the end of it that I offered to co-write. It’s been so amazing to work with James, and finally get this book finished. It still needs to go out to publishers, so we’re at least a year out from being able to share this with you, but it’s going to be amazing. I’ve also taken up ghostwriting in my copious spare time. It should come as no surprise that money is scarce in publishing, and it’s pretty awesome to write words and be immediately paid for them. 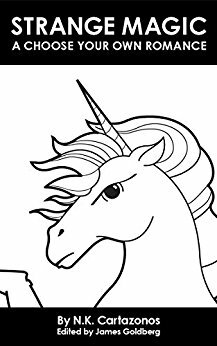 I’m having fun writing various books for other authors (mostly romance). No, you won’t ever know who I’m writing for. I’m not even always sure. Call it selling out, call it a mid-life crisis, but I call it doing what I love for money, and I’m comfortable with that. Assorted projects that are waiting for me to get to them! As if that isn’t enough, I also have a number of YA books waiting for me to revise them, both single-author and co-written. These will have to wait until some of these other projects get to later stages, because right now writing two extended series plus promoting my existing books plus revising the Bollywood book plus writing copy to pay the bills and oh, you know, taking care of my kids and doing homeschool and making sure my house is only a slight total disaster and also GMing my gaming group until my campaign ends and I can hand off that responsibility…that’s basically all I can handle. But there are stories I love in there, so I’ll get to them. Eventually. So yes. I am working on all the new things. Thanks for asking. And I’m thrilled to be able to share them with you, possibly as soon as next year! 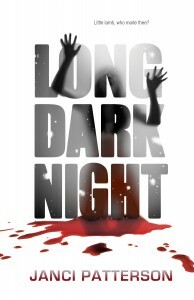 Long Dark Night Now on Audible! 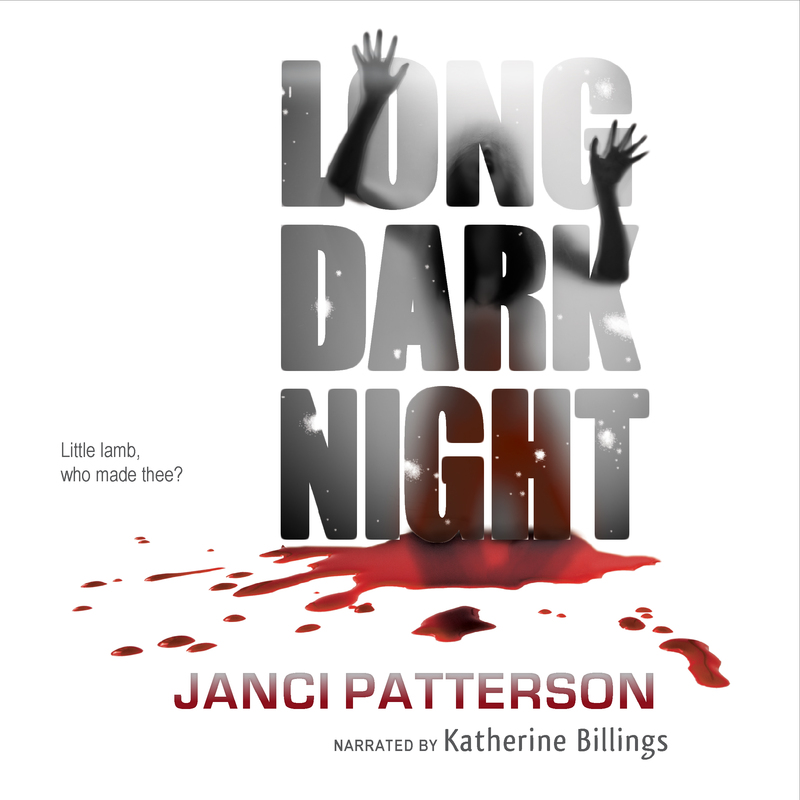 Janci April 30, 2018 April 30, 2018 Comments Off on Long Dark Night Now on Audible! I’m pleased to announce that my vampire novel, Long Dark Night, is now available in audio on iTunes, Amazon, and Audible.com! Plus, if you’re not yet an audible member, you can get it for free if it’s the first book you download after setting up a membership. The narrator, Katherine Billings, did a fantastic job. 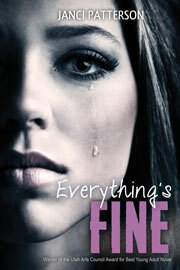 (You may remember her as the narrator for Everything’s Fine, also available now. I love this story, and I’m happy to be able to share it now with you in audio book. 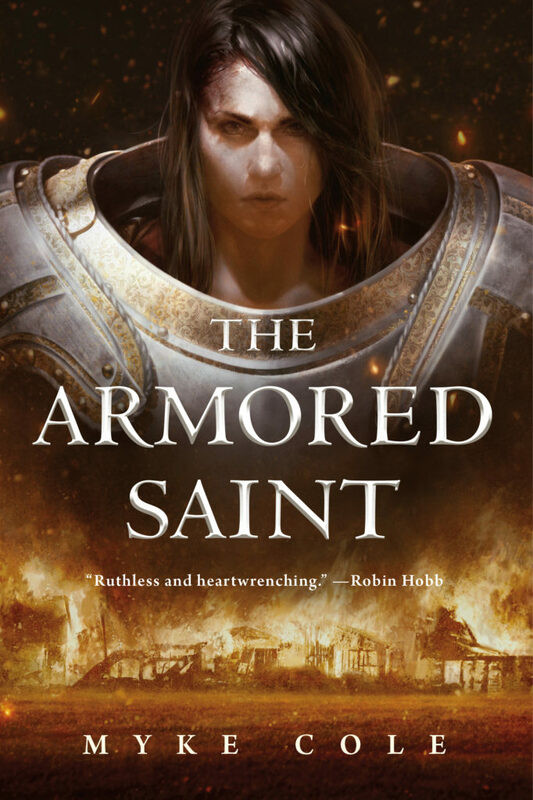 I just finished reading The Armored Saint by Myke Cole. It was my first time reading one of his books, and it wasn’t anything like what I had expected. This is Myke’s first epic fantasy, and it’s not a thousand pages long like some other books I know. What surprised me, though, was how literary it was, especially the close, personal nature of the POV. I put down a lot of epic fantasy for its inability to portray women as, well, people. This book is pretty much the opposite, and I’m so happy that Heloise is now part of the cannon of epic fantasy literature. She truly elevates it. This is one of those books that I think the less you know about before you start treading, the better. But I described it to a friend as The Road meets The Lottery meets The Diary of Anne Frank–in a fantasy world with power armor. Wait, isn’t the author that guy I was talking about here? Yes, yes he is. We’re good now, thanks. His book is legitimately awesome, mostly because of the fantastic job he did with the female POV. People can be complicated and contradictory. That’s just the way life is. A Billion Echoes Now Available! Janci January 29, 2018 January 29, 2018 Comments Off on A Billion Echoes Now Available! You guys! 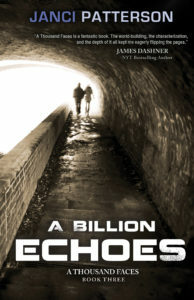 After a LONG wait, the third book in my trilogy, A BILLION ECHOES, is now available on all e-book platforms, and in print on Amazon, and other outlets. This means the series has gone wide! 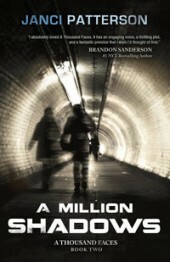 You can also get the other A THOUSAND FACES books wherever you like to buy e-books. See links on the sidebar to your right. And, if you want the whole thing in one go, the omnibus edition is also now available on all e-book platforms. So excited to share this series in its entirety with you. It’s been a long time for me, and almost as long for readers of the first book. And guys. Now it’s DONE! 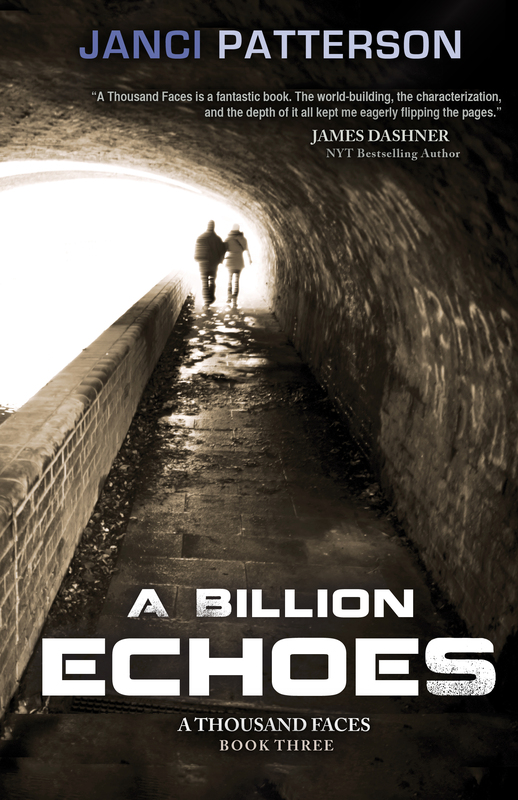 Cover Reveal: A Billion Echoes! Janci January 18, 2018 January 18, 2018 Comments Off on Cover Reveal: A Billion Echoes! 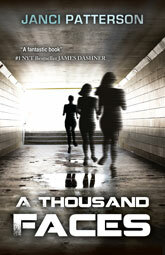 Check out the gorgeous cover (design by Melody Fender) for the third and final book in the A Thousand Faces series. The book is finished and will publish near the end of the month! So excited to share this with you. Cover copy below! It’s said that no one escapes from the Carmines, but Jory is determined to find a way to take down the monsters who killed her father and destroyed her life. With her friend Damon and her boyfriend Kalif by her side, Jory’s painstaking plot unfolds piece by piece beneath the Carmines’ever watchful cameras and tracking devices. But following through may cost Jory everything she has left. I posted on Facebook yesterday about being sad about not having time to do the catch up reading for Oathbringer. Well-meaning responses suggested that I listen to the audio books, that I just read it anyway, that I read it slowly over time. I have wonderful friends. They were trying to be encouraging. But instead I felt discouraged. I knew I couldn’t do those things, but I couldn’t really articulate WHY. I did a lot of thinking, and now I think I’m ready to try. I spend about 45 hours a week as the principal caretaker of my children, and another 30 or so as the backup caretaker. That’s 75 hours a week, not counting any of the hours in which my children are asleep, and therefore all I have to do is send them back to bed if they wake and generally make sure the house doesn’t burn down. I’m lucky that my husband does 50% of the principal caretaking, and is home to also play backup caretaker nearly 100% of the time I’m playing principal caretaker. I literally could not do as follows without him in those roles. That said, right now I have a one years old who is even now climbing on my desk and playing with my air purifier, and I have to keep lifting down, so the parenting hours are heavy lifting in this stage of life. And oh yeah, 13 or so hours of this time I am homeschooling my daughter, a number of hours that will nearly double next year. Family outings also happen in here, both just me and the kids, and me, the kids, and my husband. I write about 20 hours a week. Some weeks more, other weeks (usually due to sickness or excessive prewriting) less. These are the hours that I am physically typing or revising words. Sitting at my computer. Giving it my full attention. I spend at least another 30 hours a week in partnership with my critique partners (mostly Megan). These are NOT hours where either of us are writing. What are we doing? We’re texting about the characters/ideas/plot problems. We’re doing prewriting (yes, this means playing with Barbie dolls.) I’m reading for her and giving her feedback; she’s reading for me and I’m listening for feedback. We text feedback in real time. We’re talk talk talking about revisions and fixes and upcoming stories. We’re looking for dolls/sets/props for upcoming prewriting, or building said sets. We’re writing down the ideas we’ve gamed; we’re turning those ideas into outlines. We’re talking about business decisions and communicating with our agents or other people we work with. Really, I think this is probably more than 30 hours a week, but I know it’s at least that. I spend another five hours a week in business maintenance that doesn’t involve my co-writers. I’m responding to emails. 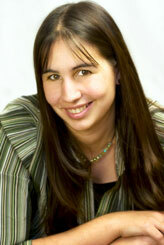 Checking on audiobooks or edits or covers. Doing social media (not reading it; composing posts, etc.) I’m going to the post office. I’m ordering books. I’m organizing and planning promotion. I’m doing accounting, taxes, and paying bills. There are 168 hours in a week. I have already spent 180 hours doing these three things. This means, in case you haven’t guessed, that I’m doing the child thing and the writing words or writing prep during many of the same hours. This is why I say that I couldn’t do it without my husband to play backup when I’m on duty and to be on duty so I can be off. Some writers say you should count all the time you spend THINKING about characters or stories or plots as work time. To which I say HAHAHA that’s the majority of my waking hours—at least another 30 hours a week. Probably a whole lot more. BUT WAIT! I’m not done. I also have a house to maintain (badly). I also have a writing group that I’m responsible for. We meet weekly, and I’m generally the one who sends out the first submission email and checks up on people to see who will be coming, if we need to add more people, etc. Plus the reading. This is another 3 hours or so a week. (Because we are crazy efficient, people! We have to be.) I also have a Thursday night roleplaying game (also weekly) that takes up another 4 hours…except I’m running the game this year, so I also need to prep/think of ideas/have the energy to be the game master. This, for obvious reasons, gets to take about 20 extra minutes of my week. Because really. I also go to church (for three hours) and have a church assignment that takes another few hours a week. I also like to play games with my husband occasionally for another couple hours a week. I also have to, you know, grocery shop and run errands. And cook and eat (sporadically, at best.) Oh, and I got a dog in the hopes of getting exercise, who I try to run with 20 or so minutes a day. And sometimes I am sick, and my capacity shrinks drastically. This happens a lot, actually, because I have a kindergartener who brings home all the germs. (But she’s homeschooled, you say! Yes, but she has bunches of neighborhood friends who are not.) And sometimes my brain craps out and I scroll through facebook for two hours because I don’t have the brain capacity or sustained attention span left for my children or to read more than two paragraphs on any given topic. This means that on top of the two things I am doing most of the time (writing stuff and parent stuff), I am frequently ALSO doing one or more of those other things. Multitasking makes you stupid, guys. This is why I didn’t answer your email/go to your party/remember your birthday. This is why I have dropped off the planet. This is why I can’t listen to an audio book. It’s not even the matter of hours in the day. It’s the amount of STUFF GOING ON IN MY BRAIN that makes me literally incompetent to add anything else. There are things I do a lot less of than I used to, but still do some: read, play video games. There are things I don’t really do at all anymore, but will do again someday: yard work, watch TV, paint minis, sew. I know what you’re thinking. Janci, do less. Definitely do less. For heaven’s sake, work less. Here’s the thing. This is my life pared down to just what I absolutely love the absolute most. My kids. My husband. My writing. My God. My closest friends. (I am not a person who can function without my closest friends.) I’m kind of in love with my job. I am dedicating my life to the things that are most important to me. With the exception of the housekeeping stuff, my life is fun and awesome and fulfilling. But it’s also FULL. The words there will not be room enough to receive it come to mind. So when I say I don’t have room for that and I’m sad, I’m not having regrets, except that my hours and energy are not limitless. I’m happy with my choices, but occasionally wistful about the ones I could have made or hope to make someday. And when I decide to give myself moments to do what I want and screw the consequences, right now I’m choosing to spend time working on my stories and hanging out with my best friends, not reading enormous tomes, no matter how much I love them (which is a lot). Now excuse me while I go happily (though wearily) do four or five vitally important things I love at once. 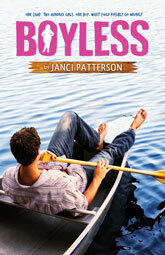 BOYLESS is now available in audio! Janci October 16, 2017 October 16, 2017 Comments Off on BOYLESS is now available in audio! 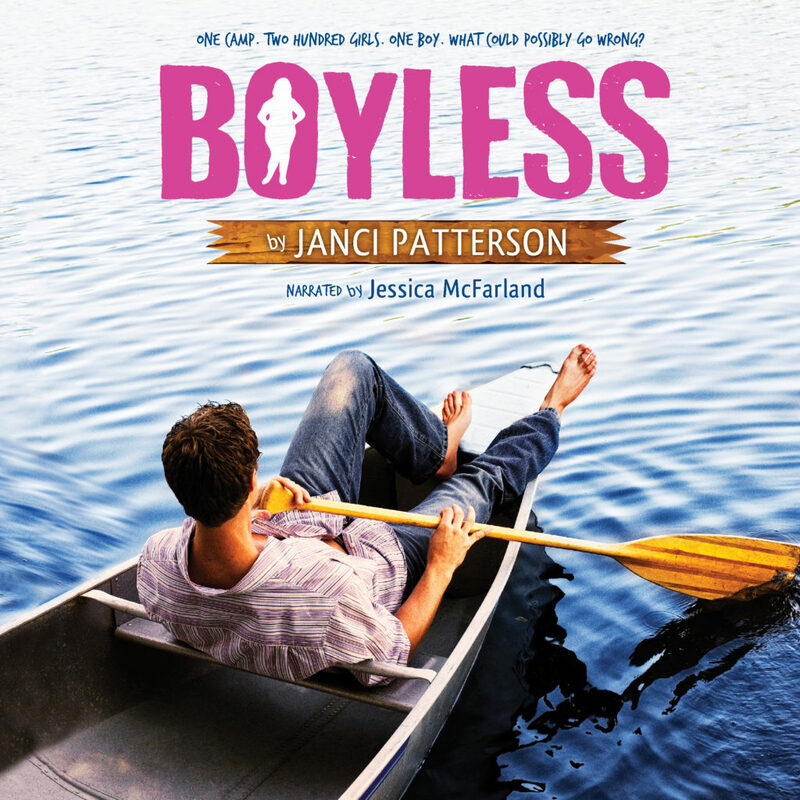 Boyless is now available in audio on Audible, Amazon, and iTunes. The narrator, Jessica McFarland, did a fantastic job, and I’m so happy with how the production turned out. I hope you’ll check it out!